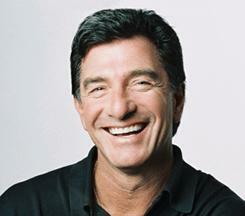 As one of the foremost personal transformation personalities, T. Harv Eker, otherwise known as ‘Harv,’ delivers his message with punch, power and clarity . As those who know him say, he is a guy with street smarts and heart. I’ve personT. Harv Eker – Personal Transformation Trainerally attended about 15 workshops with Harv Eker and his company, Peak Potentials. For 2 ½ years I lived the Quantum Leap (I and II) programs and changed my life from inside out, top to bottom. I was a different person after Harv’s self-help programs. With ever fiber of my being I tell you that – if you’re open to having amazing personal transformation in your life and are willing to play full out – you will grow and change your life forever in the Quantum Leap Program with Peak Potentials. If you can get that how you’re doing your money is how you’re doing your relationships is how you’re doing your food addition (i.e. your whole life) you will get that you can change one area and all the other areas will change, too. By absorbing and applying Harv’s strategies to your bulimia or eating disorder recovery through his self-help books and programs you have a powerful recipe for lasting healing and recovery. Harv grew up in Toronto, Canada in a family that didn’t have a lot of money. He moved to the U.S. as a young adult where he was determined to become a millionaire. After years of trial, error, and frustration he finally came upon an idea after visiting a very profitable fitness store in the US of starting the same type of company in Canada. He went on launch one of the first fitness stores in British Columbia with $5,000 he borrowed on a credit card selling exercise equipment and rapidly expanded until he had 10 stores, all within just 2 ½ yrs. He then sold part of his business to a Fortune 500 Company for $1.8 million and achieved his dream of becoming a millionaire. After moving to San Diego for semi-retirement in the late 1990’s he started teaching his Street Smarts business workshops and made friends with Chicken Soup for the Soul authors, Mark Victor Hansen and Jack Canfield. He soon realized people were not becoming successful from his business workshops because they lacked the mindset of success. Harv went on to found a self-help training company in the mid-2000’s that became the fastest growing personal transformation company in the United States – Peak Potentials – training more than 500,000 people worldwide (and still growing!). I’ve personally attended all of these workshops and recommend them to anyone who wants to make a breakthrough in their life – whether it’s a breakthrough in the area of health, money, or relationships. These programs are intensives and not for the light-of-heart. You really have to want to change your life. Through his magnetic approach to personal transformation, Harv gets people to take action in the real world in order to create success. I was amazed at the transformation in my own life and was witness to changes people in these classes made in their own lives. Whether you want to become a millionaire, create better relationships in your life, overcome bulimia or any other eating disorder, Harv’s Peak Potentials can help you achieve any of your dreams. Get ready to be dazzled and inspired to change your life. If you’ve made it this far, you must be interested in improving your financial situation and I promise when you improve your inner conversations around money, your conversations around food and self will be forever transformed, as well. I’ve tried a lot of self-help programs over the years and this one is by far the most intensive re-programming you can experience in just a weekend. The Millionaire Mind Intensive (as it used to be called) is/was a 3-day workshop that’s held at various times of the year around the United States, Canada and various locations around the world. It’s hard to sum up in a few sentences what you’ll get out of the MMI, but I can tell you after I attended an MMI in 2005 within 2 weeks I had met the man that would become my husband and had forever transformed my food addiction to one where it was virtually gone. I mean literally I didn’t even think about being a bulimic again. Uh….yes. That’s exactly what I’m saying! I can hardly believe that’s how my recovery started as I look back, but that’s what I got out of it. Believe it or not is up to you. Either way millions of people have attended MMI and changed their lives forever. This is actually two-books-in-one, with a focus on the missing link between the desire for and the achievement of success. Harv’s theory is that our ability or in-ability to become successful depends on the internal blueprint ingrained in our subconscious. Part one of the book explains how this blueprint works and how our childhood influences shape our financial destiny. Though he speaks about financial success, it is easy to see how the concepts can translate into any other type of blueprint we may have for achievement or failure. Here we’re able to identify our own blueprint as we learn how to change it in order to create, maintain, and grow our dreams. Part two of the book contains 17 “wealth files” based on how rich people think and act differently than poor people. Each file includes methods for how to increase our income and gain wealth, which again, can be translated to how we can become free of addiction. Harv’s methods are direct, clear, and easy to incorporate into your life. I have found his approach to be extremely motivating and feel like I’m being cheered on every time I tune into his messages for personal transformation and success! I ordered the audio book version so I could also listen in my car and I keep the deck of cards in my bathroom so I can read them every morning. If you’re ready for personal transformation in your life and to achieve success, wealth, and ultimate health, click here to order The Secrets of the Millionaire Mind.